If you need an emergency plumber, call us now at 866-989-2837 24/7, 365 days a year. If you have frozen pipes or a busted water main causing major problems, or any other plumbing issue, call us for emergency plumbing service. Our trucks are fully stocked with all of the necessary tools, parts and piping needed to complete any plumbing repairs, drain clearing and more. We will work quickly to get your home or business back to normal as soon as possible. 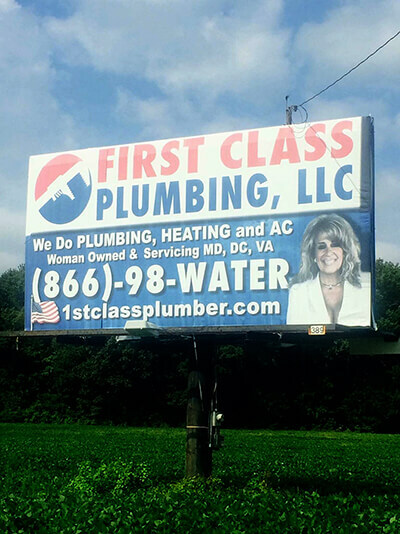 First Class Plumbing has master plumbers and journeyman plumbers providing services to you.